If you’re anything like me—I’m constantly on YouTube searching for videos to improve my craft. We writers are a unique breed. We go to school and obtain prestigious degrees similar to any other industry. Yet, much of our learning takes place outside the classroom. We develop our characters by intently people watching and studying those around us. We thoroughly research topics for which we wan to include within a story. Or, we interview people and gain knowledge through their expertise. And then there is YouTube. Most of the time I use Youtube to help learn concepts related to business or writing. There are experts that will get you up to speed on marketing, publishing trends and advertising methods. Perhaps this is why Youtube is considered to be a viable search engine. You can learn anything and find videos on anything out there. Some have the prestigious degrees, but nobody will know if they didn’t. Their knowledge trumps whether or not you get exceptional information from them. So, without further ado, let’s get to the list. Jenna Moreci. If you haven’t checked out her channel, why not? This writer is hilarious and tells it like it is. She’s not going to sugarcoat any writing method. While she may write science fiction, her channel doesn’t only focus on that genre. Rather, her videos give a general overview of the writing process. You’re going to enjoy videos on book cover techniques, character creation, and finding story ideas. There are entertaining videos on the lifestyle of a writer and videos where she talks about her own writing projects. Furthermore—you’re going to find videos on cliffhangers, beta reading, choosing a genre, and how to handle criticism. She has a video to suit the needs of everyone and your belly laugh can thank me later. Creative Penn. Many of you may know the Creative Penn from her successful podcast or her website that shares the same name. This thriller author has made quite the splash in the literary world. Her videos are different than others you’ll find on Youtube. She interviews experts over Skype (or another video platform) and then blends the two conversations into a video. The Creative Penn focuses on writing and entrepreneurship. Many of her videos are rather long, but you get loads of good information. She talks about publishing trends or marketing techniques, for instance, or may focus on podcasting techniques for the video. In other videos, she interviews experts about advertising, book sales or how to protect your work once it’s published. These are the types of videos you want to take notes on; the information you’re getting is high-quality and well-worth your time. Pat Flynn. I know what you’re thinking…Pat Flynn is more business-oriented. And you’re right. But, as writers, we all need an author platform where our audience can find us. We all need a website, a social media presence and a line of digital products in which to sell. Pat Flynn can help you with all these. He has a podcast and a successful website. Many of his videos are podcast or website-relevant, but don’t let that stop you. He also strives to deliver helpful advice about how you can live off of passive income. If you’re an author and an entrepreneur, you can gain insight from his videos. Go to iTunes and check out his podcast where you’re going to get an enormous wealth of information. 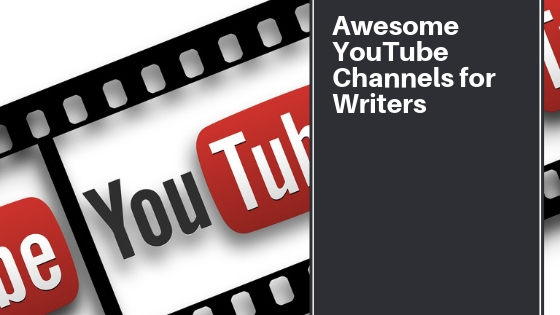 If you’re a novel writer, you’ll want to check out Ellen’s videos. She’s straightforward and to the point in each video. Her videos focus on character creation, scene structure, creating a compelling character goal, and helping the author to find their voice within fiction. These videos are excellent for those just starting out. They are going to help teach writers the craft without overly complicated terms or methods. More advanced writers, on the other hand, may not find these videos suit their fancy. That may be only because seasoned writers have their own way of writing. There’s nothing wrong with that; everyone has a specific technique they enjoy. Finally, go ahead and check out the writing videos of Vivien Reis. She is friendly and down-to-earth. These videos are aimed at anyone starting to write novels for the first time. Many of her videos show writers that the writing process isn’t all that scary. She shows you easy ways to outline and relates to writers with making writing mistakes. She has videos on dialogue tags, editing and even a video on 16 specific character types. There is a video here for everyone. These are the top video channels I have been watching. Be sure to watch them when you get time. You’re sure to gain the knowledge that you need to sharpen your craft.